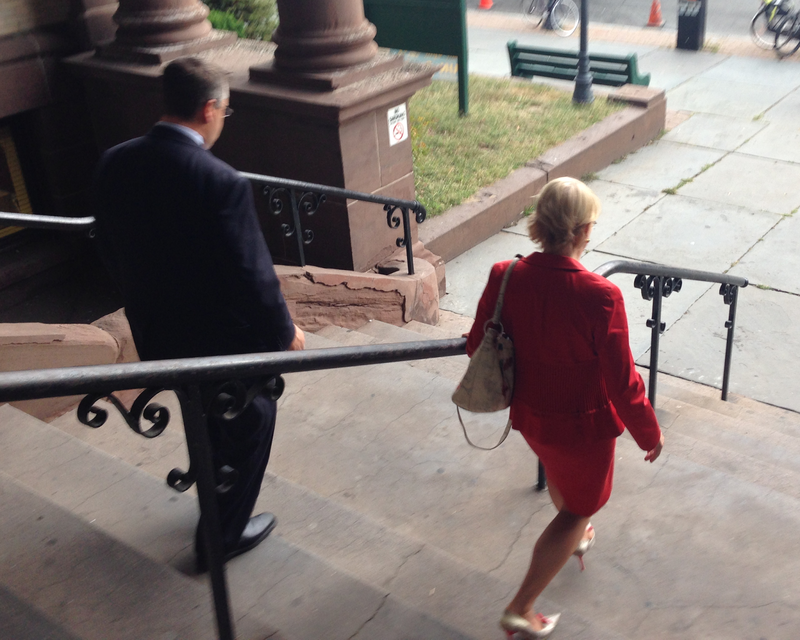 Beth Mason leaves Hoboken Municipal Court today following her harassment allegation against MSV. The case exits Hoboken on a change of venue by the court. MSV saw a change of venue in the latest action by Hoboken's litigious councilwoman from the second ward, Beth Mason, who filed a harassment charge against the editor the week of September 15th. Beth Mason is anticipated to seek retaining the second ward council seat up for election next November, one of nine on the Hoboken City council. She's been mentioned in media reports as trying to obtain a coveted spot on a potential State Senator Steve Sweeney ticket for Lt. Governor. The State Senator is thought to be a candidate in waiting for New Jersey governor bringing a south Jersey base in a possible match up against Jersey City Mayor Steve Fulop. Grafix Avenger offered limited details surrounding this latest legal maneuver by Beth Mason using the courts against Hoboken residents. MSV stands by its story and looks forward to both the truth and full transparency coming to light.